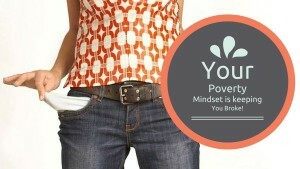 Home > Mindset > Is Your Language Keeping You In Poverty? Is Your Language Keeping You In Poverty? I talk to a lot of people. I have learned that many people are speaking themselves into poverty. You see, your brain believes what you tell it. If you say you can't or can not, your brain believes you are not capable of that thing. If you change your words, and say “I haven't learned how to yet,” or “I don't know how,” you leave your mind open to learning new things. Becoming consciously aware of your language is the first step, then work on changing your language every time you find yourself using the wrong words. You will notice a shift in your life when you make a choice about chosing your words. Removing some of the negative people from your life will help also. If you listen to or read personal development everyday, you will also notice a shift in your life. Will this keep challenges from coming into your life? No! Of course not! It will certainly help the way you react and handle the challenges. If you are having trouble building a team, or you are getting no help from your upline, click HERE to use a system that will help you. Great post on self talk and mindset Rhonda… thanks for sharing this with everyone. Awesome post Rhonda. Thanks for sharing. Our word have allot of power. And as an entrepreneur we have to be mindful and really work on our language. And really speak positivity and prosperity. Thank you Collin! I’m glad you liked the post! 15 NEW Ways To Get More Leads! Most of them are FREE!